How happy are you with your exhibiting performance? 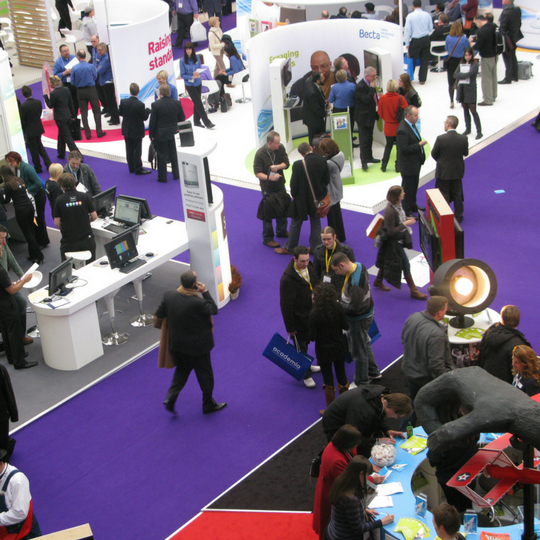 What strategy do you have for your next live marketing event? How will you engage, qualify and educate your new business prospects? Expo Stars, in partnership with the Exhibiting Agency, is proud to present The Hi-Performance Exhibiting Masterclass to introduce you, the exhibitor, to a proven process to maximise your return on investment when exhibiting at tradeshows, conferences and congresses. The founder of Expo Stars, Lee Ali and John Blaskey, founder of the Exhibiting Agency, address the three key elements for successful exhibiting: a clear strategy, delivering a cohesive and memorable stand experience and placing the right staff in the right roles at your booth. It elaborates on the three key ingredients – engagement, entertainment and education. Select the right team for your event. Up to 94% of Companies do not know - or did not measure - what results they got from their last event. Up to 70% of Companies do not have a pro-active face to face engagement strategy. I am interested in attending your next masterclass or holding an internal masterclass for our company. This was the rare Masterclass that deserves its title. It was well structured with plenty of relevant examples from real life and provided a sensible approach to designing a successful exhibition stand. I highly recommend it. Found all sections very interesting and something I can take away and work with. I didn’t know what to expect but enjoyed it thoroughly. I have always been at exhibitions operating the way ‘we have always done it!’ Now I feel confident enough to try and change the way we work.